Q. How do I save a web reference to EndNote Desktop or EndNote Online? 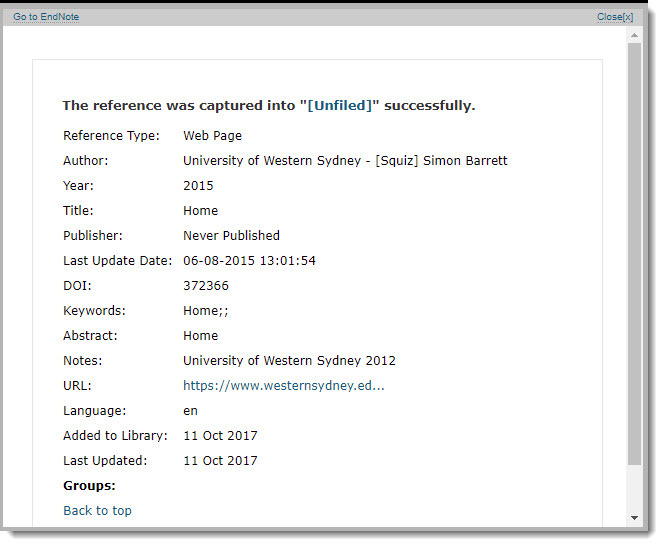 "Capture Reference" is a tool that allows you save and create a web page reference in your EndNote Desktop or EndNote Online library. Log into EndNote Online -https://access.clarivate.com/#/login?app=endnote . You will be prompted to do so if you are not already when you click on the “Capture Reference” . 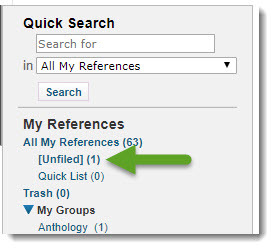 As you are viewing the webpage or web document you wish to reference click on the “CaptureReference” tool. 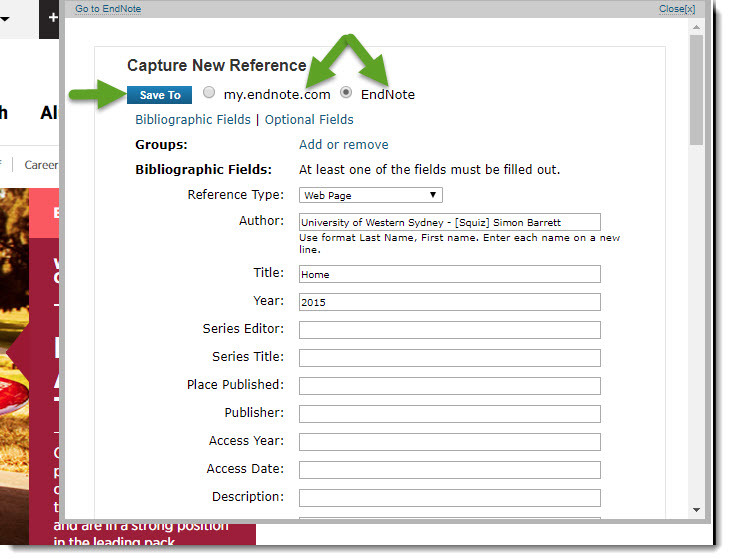 Choose EndNote (desktop) or my.endnote.com (EndNote Web) and fill in the details of the resource you are viewing. If you are saving to EndNote Desktop you will receive the following instruction. Save the download file as prompted and open in your EndNote Library as normal. 6. If you are saving to EndNote Web you will receive the following confirmation. Click on "[Unfiled]"